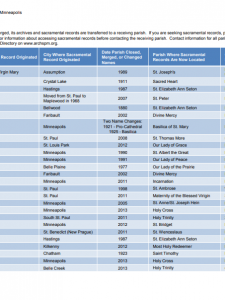 Sacramental records are not public records. However, the Archdiocese recognizes that sacramental records have value to family historians and we therefore make nearly 100 years’ worth of sacramental records available to genealogists. Records created before January 1, 1919 are available for genealogy research, except in cases where particular records are restricted by canon law. To protect confidentiality, all genealogical research is done by Archives and Records Management staff. No genealogical research is done by parishes. We cannot accommodate on-site researchers. If the sacramental record you are looking for is located in the archdiocesan archives, you will receive a scanned copy of the register entry. The Archdiocese offers genealogy research for a fee of $30 for up to three records.This fee covers the cost of staff time to search the records and supports the ongoing microfilming of sacramental records. You are responsible for this fee whether or not staff locate the record you are seeking. You may pay online via credit card once your order is reviewed and approved. We no longer accept cash or personal checks. In order to process your request, we must have three pieces of information: Name of the person you are searching for, the parish where the sacrament was conferred, and the approximate date of the sacrament. Because there is no index to all of the names in all of our sacramental registers, we must know in which parish’s registers to locate the record. 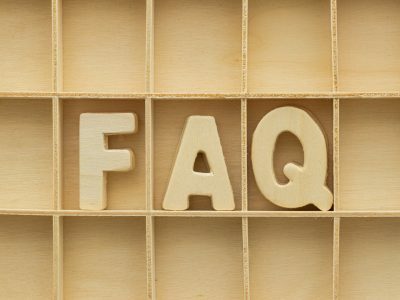 If you do not know where the sacrament was conferred, please refer to the FAQs for research tips.